In recent years, Telehandlers have risen to become one of the most important tools in any construction company's arsenal. More than simply a a rough terrain forklift, the purpose for which it was originally developed, the telehandler is an incredibly versatile machine that increases a construction company’s productivity on all manner of projects, including general construction, steel erection, roofing, framing, masonry, demolition, commercial, retail, road, and bridge work. More versatile and adaptable than a forklift, but compact and able to go where cranes can’t, the demand is only going to rise for telehandlers. The telehandler's ability to work in rough conditions is what has made it such a valuable piece of equipment in construction industry. 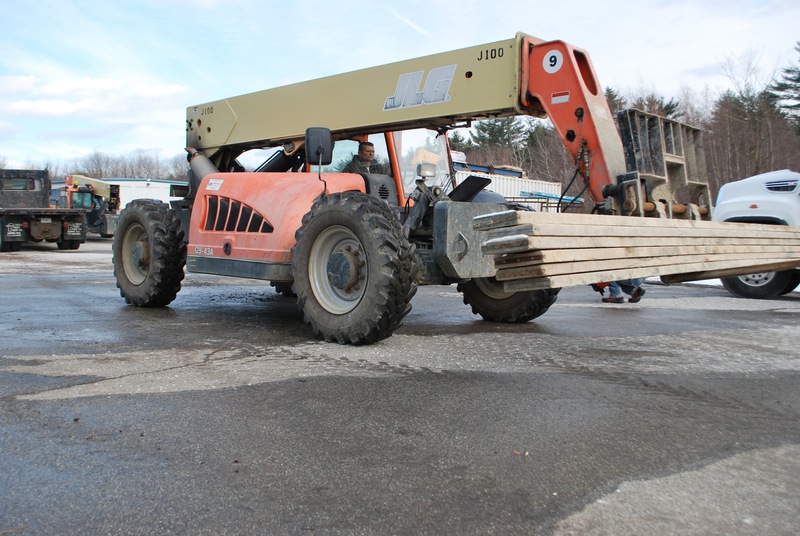 Unlike traditional forklifts, telehandlers are capable of operating in a multitude of challenging environments, from concrete floors to broken asphalt to muddy job sites, and it’s this capability where Alliance Tire Group can make your telehandler shine. Tires like the Galaxy Giraffe XLW are bringing next-level versatility to the market to help construction companies get the most out of their telehandlers. Designed for fast-moving construction companies that might be working on a bridge one day and a roof the next, the Giraffe XLW is at home on both hard and soft surfaces alike. The Giraffe XLW’s solid center tread blocks provide a smooth ride and increased longevity on hard surfaces, while the tire’s aggressive open shoulder lugs help make the Giraffe a true off-road beast. Being a tire on a telehandler is a demanding job, and it’s only getting harder as new applications for the telehandler are being developed. Because a telehandler stresses the tire in both directions and superior traction is demanded no matter the surface, tires such as the Giraffe XLW are engineered with a huge footprint and maximum sidewall stability to ensure optimal performance and longevity. As telehandlers continue to rise in prominence on today’s construction sites, ATG will be busy creating tires that allow construction companies to get the most out of their machines. With great options like the Galaxy Giraffe XLW or the Galaxy MPC on the market already, and a solid telehandler tire for use in the harshest conditions currently in development, Alliance Tire Group and Galaxy tires aim to be leaders in the telehandler market for years to come.